Happy New Year! The beginning of each New Year is filled with aspirations, hopes, dreams, and resolutions for the year ahead. We all intend to go to the gym, watch our diets, and undertake a multitude of projects to better ourselves. Watch collectors are no different. This is the year that we will take on some projects to improve our collections, get our watches organized, get all of our watches functioning, and wear more of the watches from the back of our watch boxes. But, this year is different. This year we will get all our watch projects done and more! Are you still with me? I'm not trying to be cheesy. We have the technology to make our collections better. Here are a few things that can help you complete your watch collection projects this year. 1. Watch Repair Kit. Every year, we say we're going to take a link out of the watch that is too big, replace our own watch batteries, or change a broken watch strap. These tasks aren't that hard. You would have done them a long time ago if you had the tools. So, this year, why not get the watch repair tools? 2. Watch Case Press. Of course, once you do get the watch repair tools, you are going to be dangerous. I've found that some case backs come right off and then NEVER go back onto a watch. For some reason, this always happens with my favorite Relic brand watches. But, this year, I am going to get a case press! 3. Watch Batteries. You've got a lot of watches. Unless you are a man of wealth and means, that means you are going to need some batteries. There's no reason to go broke buying watch batteries at the drugstore. Once you see the prices of watch batteries on Amazon, you'll know where to go! 4. Watch Box. 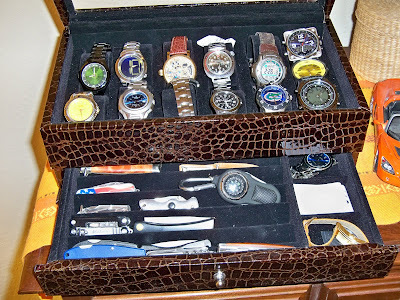 If all that mechanical stuff is too ambitious, you can at least get your watch collection organized. All you need is a dedicated space for your watches. 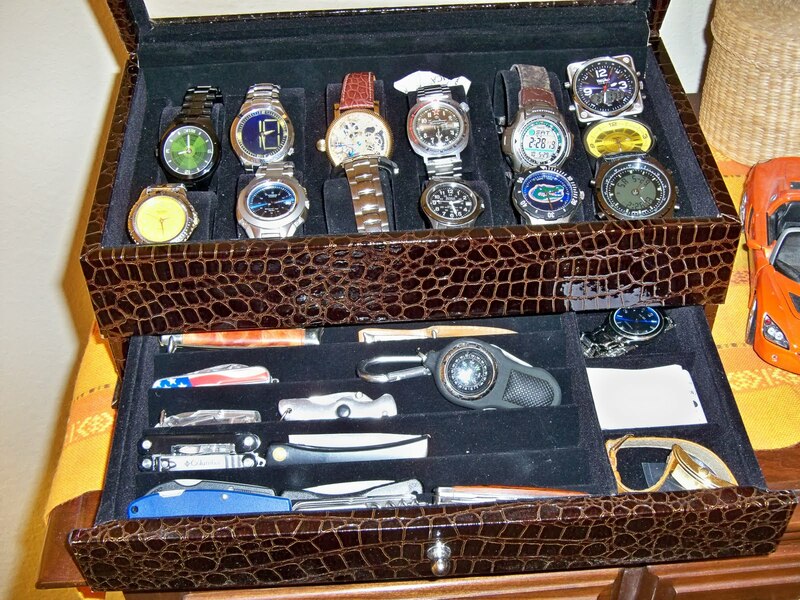 Buy yourself a watch storage box. You'll be glad you did. 5. Watch Winder. If you do have a large collection of fine automatic watches from Switzerland, I've got no business telling you how to live. What's your secret? 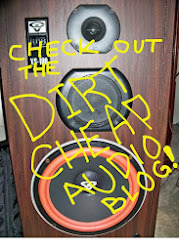 But, if you are like me and you just have a few automatics, get yourself a watch winder. They keep your watches wound and ready to go. Plus, they are a really cool way to display your favorite watches.